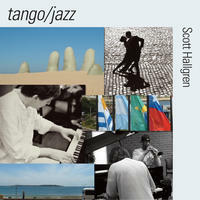 Scott Hallgren: Jazz, tango & other adventures. A jazz pianist and composer, Scott Hallgren became interested in the music of tango when challenged by an Argentinian friend, Diana Holland, to write a piece in the classic style. The result became the 1st of 4 movements of the 'Porteña Suite', a jazz-tinged take on classic & modern tango musics that he dedicated to Diana. The similarities between jazz and tango are deeper than most listeners realize, so the idea of combining the two idioms again on a future project has a certain appeal. Scott also writes music that others have featured on their albums... the joyous 'Snowfall' is featured on new age vocalist Seay's "A Winter Blessing", and the self-descriptive 'Film Noir' was the crowning track on trumpeter Leif Shires' "Rapture". As well, Scott has enjoyed musically daring collaborations with Rod McGaha and Mitch Reilly on the freely improvised, spontaneously composed pieces, "Spirits of the Dead" and "Sin Lux", respectively. 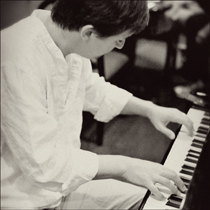 Scott is a Silver Telly & CINE award-winning composer and multi-instrumentalist whose early interest in music led him to study jazz piano and arranging at the University of Miami (Florida). He later relocated to Nashville to pursue his dream of working as a recording and touring musician. During the next decade, Scott served as Donna Summer's musical director and pianist, after a stint in Steve Wariner's band. He also toured with Margaret Becker, The Wilkinsons, and Fernando Ortega, and supported other artists such as: Sir Elton John, Aaron Neville, Andrae Crouch, Gloria Estefan, Ricky Skaggs, Eddy Arnold, David Foster, Larry Gatlin, and Marc Antony. After touring, Scott decided to focus on his composing and arranging skills. He has since scored or provided music for movies that have been seen worldwide. Of note, "Sith'D," a short Star Wars spoof, won Best Comedy at Comic-Con (2006), and "Gracie: diary of a coma patient" won festival awards for director Jeff Wedding, and received much critical acclaim for Scott's musical score. 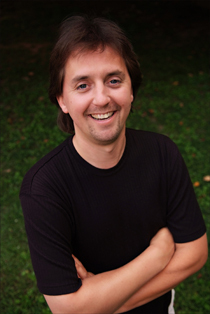 Scott's varied talents as an arranger, composer and performer have been featured on albums by Donna Summer, This Is My America (Various Artists), Monte Montgomery, Seay, Leif Shires, the live show 'Cirque Shanghai', the Documentary Channel, and on the movie soundtracks of Smart People and Strictly Tango. You can find out more about Scott on his website and IMDB entry. Scott Hallgren lives in Tennessee, USA. Tagged as: Jazz, Latin, World Influenced.